Dermacol is a brand that has been doing the cult beauty rounds for a while now. But does the Dermacol Foundation live up to the hype? I recently received three items from Dermacol in my Notino haul. Including the coveted foundation. I was really excited to try this after reading so much about it. Online you do tend to find mixed reviews, which already gave me the impression that it wasn’t a product for everyone. A lot of people compare it to Esteé Lauder Double Wear, which is actually one of those foundations I just cannot get on with. The reason I don’t like Double Wear is that it dries so cakey on me and seems ever so drying. Whereas the first noticeable difference with the Dermacol foundation is that it doesn’t seem to dry matte and retains a slightly oily finish. When I say oily, don’t get me wrong, you don’t look like a grease ball. It’s kind of hard to explain. It’s almost like a slicker dewy finish? But not in an awful way. A quick dab of powder soon sorts that out anyway though. It is worth noting that you’ll want to finish with a setting powder whether you like the dewy finish or not though, as this foundation does tend to transfer a lot, even when ‘set’. With the above in mind, I cannot fault the overall finish and ease of use though. I mean, a little goes a long way…. We’re talking less than a 5pence piece worth of product is ample to blend over your whole face. And it’s amazing that such a small amount actually gives such a heavy, flawless finish. You have to be careful with the amount you use though and ensure you add in contour, blush and the whole shebang, otherwise, the coverage is so heavy that you do end up having a bit of a mask effect if used alone. A lot of people praise Dermacol for covering tattoos as well. As you can see from the swatches, you can get a good coverage on tattoos, but once again you do need to set with a powder to ensure a better finish. This also means that it would be great for covering acne scarring or micro pigmentation. Would I recommend the Dermacol Foundation? Yes – especially for nights out. And it’s great to use daily if you mix a small amount with your regular foundation for added coverage. If only for the addition of SPF30 if your regular foundation has no SPF in! If you like the sound of it, you’ll also enjoy the fact that it’s only £8.20. 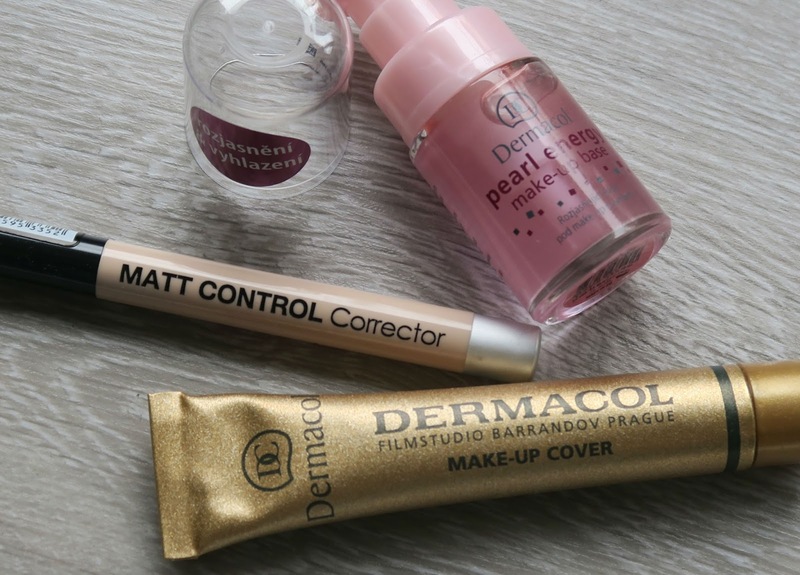 Dermacol also do a range of other products, but with not as much hype around them as the foundation. They do a whole host of different products, not only make up! There’s even bath and body stuff. All for a super affordable price. Alongside the foundation, I picked up the Dermacol Pearl Energy Primer. This tiny bottle packs a punch, with a formula containing pearl extracts and a smooth finish for your make up. I was a little surprised at the size of the bottle versus the price, when compared to other Dermacol products. You only get a 15ml bottle for around £10. After using it a few times now, I’ve found that the smaller amount of the product actually gives better results for the day ahead though. At first I used two full pumps and the make up kind of slid off my face. After playing around I’ve found that using half a pump is enough to cover the surface of my face and doesn’t have the slightly greasy finish. It also helped my foundation apply a lot better and blend more consistently, alongside helping it last a lot longer throughout the day. So overall I can’t wait to get my hands on some more products from the range.